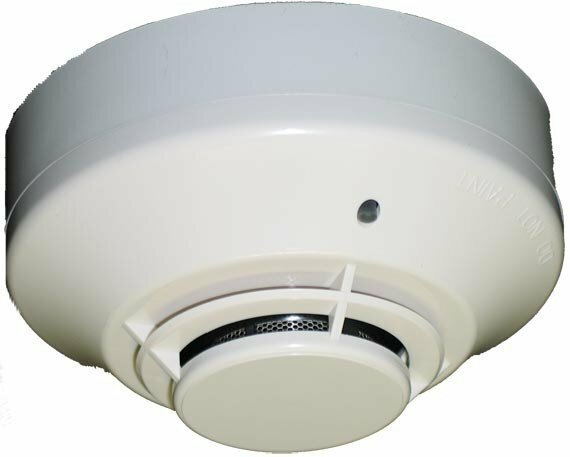 The FAPT-851AUS Acclimate™ detector uses a combination of photoelectric and thermal sensing technologies to increase immunity to false alarms. Unlike traditional intelligent detectors, the Acclimate™ detector has a microprocessor in the detector head that processes alarm data. As a result, the Acclimate™ detector adjusts its sensitivity automatically, without operator intervention or control panel programming. Areas where the Acclimate™ detector is especially useful include office complexes, schools, college campuses, manufacturing and industrial facilities, and anywhere else the use of a particular area may change. Automatically adjusts sensitivity levels without operator intervention or programming. Addressing by rotary decade switch. Dual bi-color LED design provides 360° viewing angle. Capable of heat-only alarm mode, enabled by a special command from the FACP.